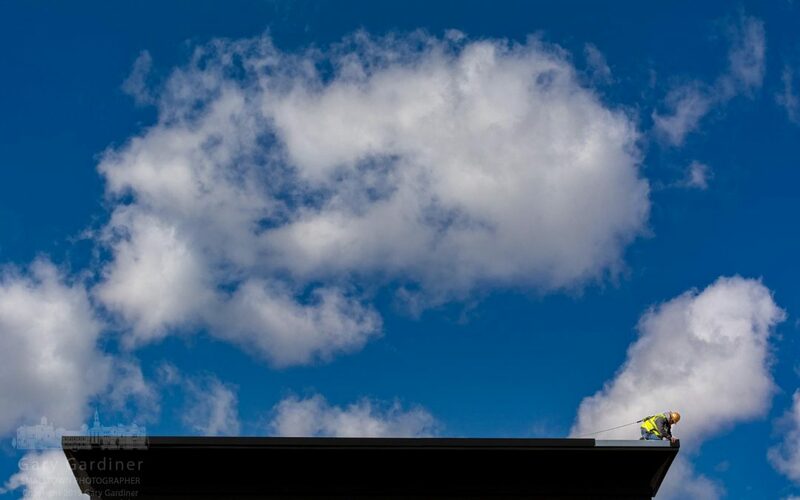 Working On The Edge – A roofer installs flashing along the edge of the top of the medical office being built on Altair Parkway in Westar across the street from the Renaissance Hotel. My Final Photo for April 15, 2019. 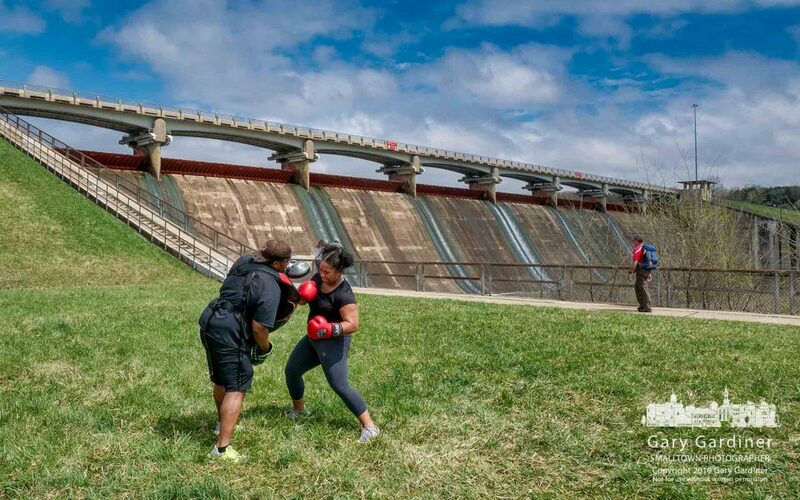 Taking The Hits In Training – A pair of boxers train on the grassy landing at the base of Hoover Dam as another person trains for a summer hiking adventure in West Virginia on a sunny and crisp Sunday afternoon. My Final Photo for April 14, 2019. 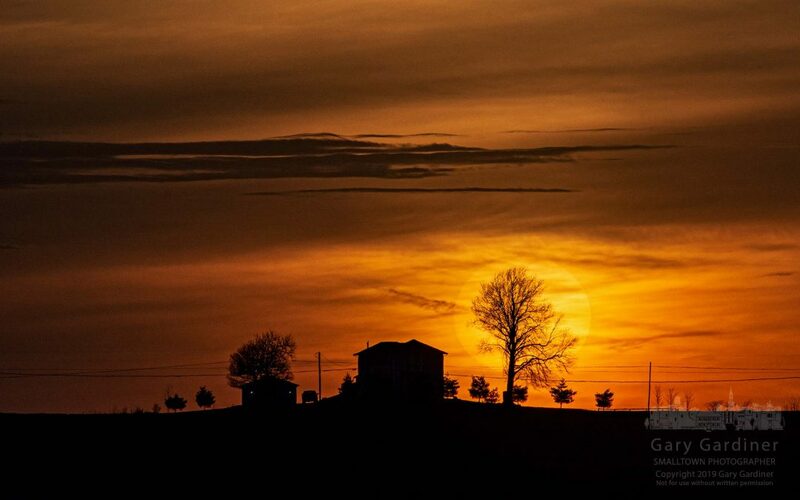 Spring Sunset – A thin cloud layer partially obscures the setting sun behind a house in farm fields near Croton, Ohio. My Final Photo for April 13, 2019.